For many riders, the highlight of this announcement will be the addition of an 11-speed SLX-level drivetrain, including a crank with a ‘DCE Profile’ retention chainring as well as a new clutch rear derailleur. Also notable is the new SLX brake, with an integrated master cylinder; a cassette which shaves some weight with an aluminum spider and a mix of aluminum and steel cogs. 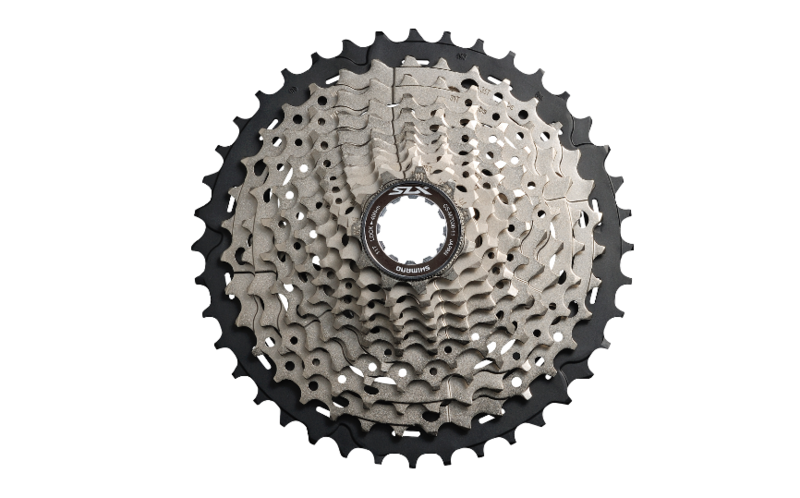 The CS-M7000-11 11-speed cassette is held together by an aluminium spider, and features a mix of aluminium and steel cogs. It’s available in two configurations: 11-42T and 11-40T. Trickle down from XTR and XT brings Shimano’s Dynamic Chain Engagement (DCE) 1×11 tooth profile and 3D composite chain rings to SLX. SLX M7000 1×11 and 2×11 cranks are optionally available with 3-mil-wider spindles for use with Boost 148 hubs. The new SLX-level bottom bracket is available in press-fit or threaded options and Shimano says that the new BB is lighter, more durable and has reduced seal drag. SLX already featured Shimano’s clutch system, and Shimano says the new rear derailleurs have a refined geometry and adjustable stabilizers, which allow for either maximum stability or minimum shift effort. Both the 11- and 10-speed versions are direct-mount compatible. Shimano has slimmed down the new SLX shifters, which come with longer levers that decrease shift effort. Available in two I-spec options or band clamp mounting. The new SLX M7000 brakes receive an integrated master cylinder that gives a sleeker look, saves weight and frees up valuable handlebar space. New SLX-grade SM-RT70 center lock rotors promise to improve heat dissipation through refined shaping and an alloy adapter. 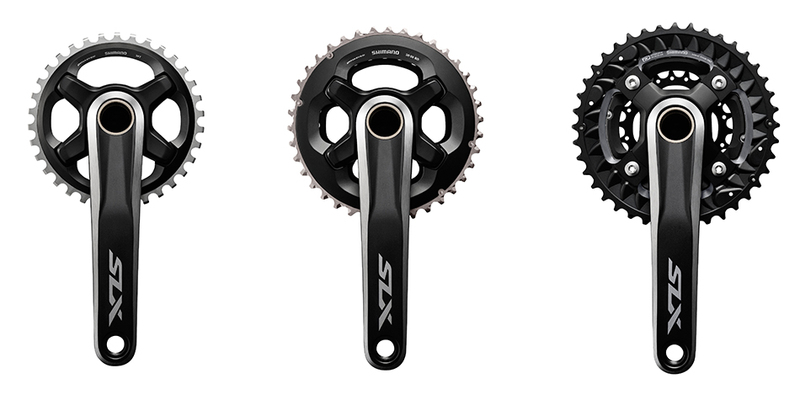 Shimano SLX M7000 components will be available in July 2016.